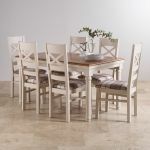 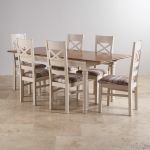 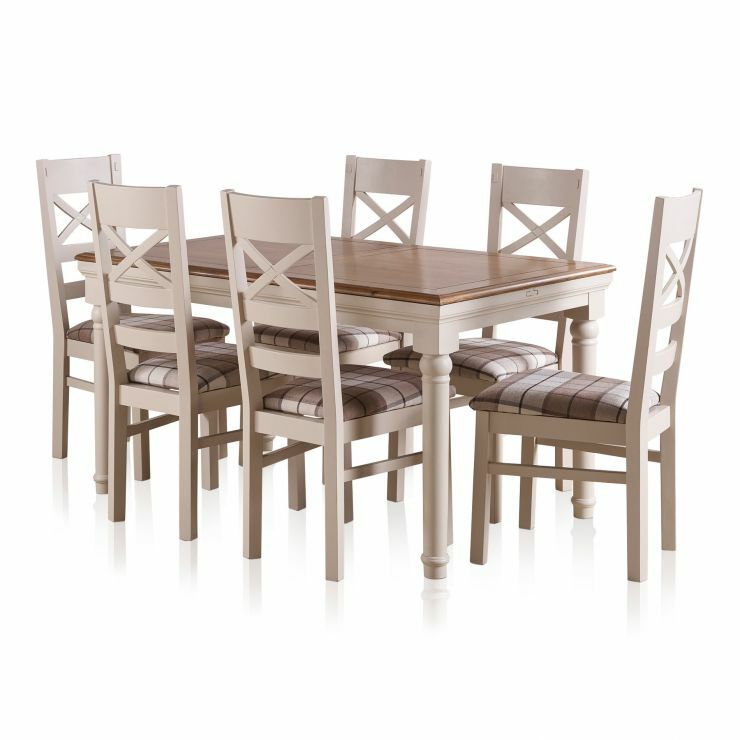 Our Shay dining table set is a beautiful addition to your home. 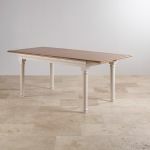 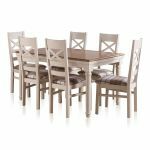 Featuring our popular painted and rustic oak extendable dining table, it is made to make a statement. 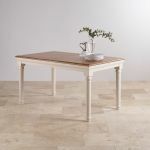 Shay has beautifully turned legs, soft cornices, and a handy butterfly extending mechanism. 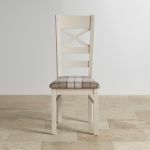 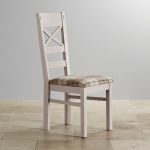 The table is paired with 6 of our Shay dining chairs, which have stunning brown check fabric upholstery. 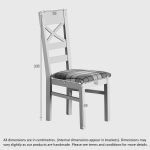 Don't forget to browse the other great pieces from our Shay collection, plus free delivery to the room of your choice as standard!